The sleepy town of Chibok in Nigeria’s northeast continues to grapple with the seemingly endless wait for the return of more than 100 schoolgirls who were abducted by the armed group Boko Haram, five years ago on Sunday. “They [the government] are not talking about our girls anymore. They are acting as if they are happy about what happened to us,” Enock Mark, whose two daughters are still missing, told Al Jazeera. 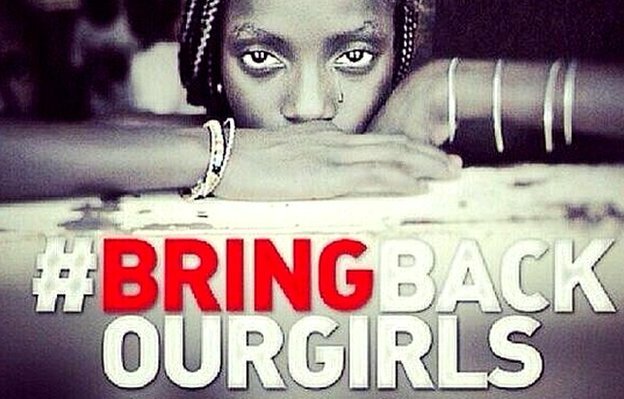 “There is great pain in our heart every day when we remember our missing daughters. We leave it to God to help us,” Mark said. “My wife has been finding it so difficult to cope without her children. She keeps crying every time she remembers her missing daughters. I have to keep consoling her,” he added. Boko Haram, whose name roughly translates to “Western education is forbidden”, has waged an armed campaign in northeastern Nigeria since 2009. More than 27,000 people have been killed by the group and over two million others displaced from their homes. Boko Haram allegedly operates its largest camp in the vast Sambisa forest in Nigeria’s northeast. The forest stretches for about 60,000 square kilometres in the southern part of the northeastern state of Borno, which has borne the brunt of Boko Haram’s violence. In August 2016, the group split into two after long-time leader Abubakar Shekau rejected an attempt by the a branch of the Islamic State of Iraq and the Levant group’s Abu Musab al-Barnawi to replace him. Al-Barnawi is believed to be the son of late Boko Haram founder Mohammed Yusuf and used to be Boko Haram’s spokesperson. There are reports that Al-Barnawi has been removed as the factional leader. The northeast remains a battleground in Nigeria’s decade-long fight against the armed group of the Islamic State West Africa Province (ISWAP) and Boko Haram. The group continues to launch attacks in the country’s northeast, and its leader remains at large. “It is quite challenging to sustain a singular core demand – #BringBackOurGirls – when facing a government that has taken up a disinterested and hostile stance for almost five years,” spokesperson of the Bring Back Our Girls group, Nifemi Onifade, told Al Jazeera.